Photo courtesy of Emilie Inc.
For Erika and Gian’s rustic barn wedding in Maine, the couple wanted an invitation that was “simple but different and had both of our personalities in it.” With the help of family friend and stationer Wendy of Partners in Paper in New Jersey, it was just that: classic navy blue ink with a fun gold confetti liner and a gold painted edge. We met online in 2011. We were both living in Philadelphia, and we emailed for a while before we met up in person, making the meet-up easier already knowing we liked each other. Gian proposed on Martha's Vineyard at Gayhead Lighthouse after dinner at the Beach Plum Inn. It was just the two of us at night at the base of the lighthouse, making it quiet and romantic. Gian asked me to hold onto "something" while he got down on one knee. The "something" being the ring. What stationer did you use, and how was she helpful in the process of choosing your invitations? 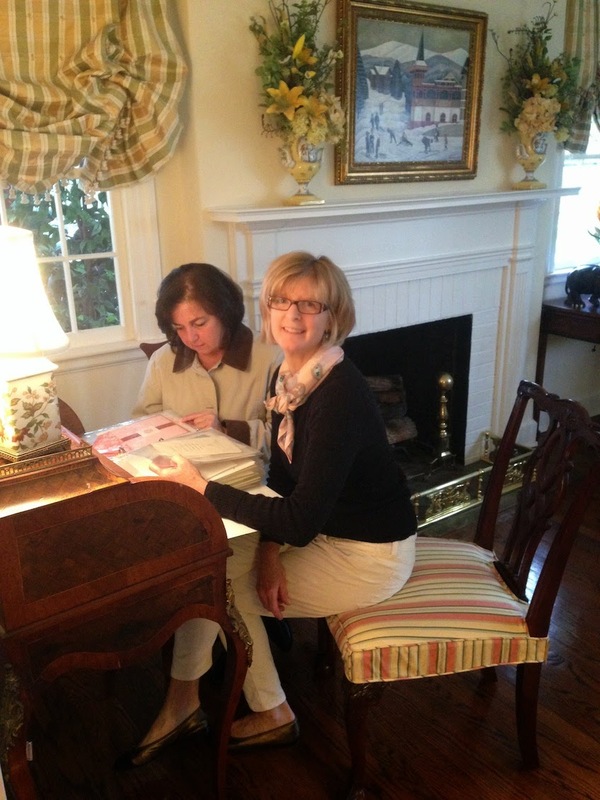 We used Wendy Hansen at Partners in Paper in Westfield, New Jersey. She was great in helping us choose something that was simple but different and had both of our personalities in it. She took the time to get a feel for us as a couple and what our venue and whole feel of the wedding was going to be. She also pulled out books and let us just pick certain aspects of invites we liked and then put it all together later. I had a vague idea in my head about what I wanted. I have always loved paper and this part of the planning was exciting for me. I knew I wanted navy and it to be simple. Once we sat down and saw all of the options on how we could personalize it and make it our own the ideas came together very quickly. I loved the navy with the gold. Describe the invitation suite you ended up with. We ended up with a combination suite that we customized. I loved it because it was simple and elegant but also a little quirky and different with the gold confetti dot envelope liner and the gold edge on all the cards. The gold edge detail was something I really loved and when a friend noticed, it made me very happy to know those small details were recognized. Was there anything about the process you weren't expecting? All of the options! I had no idea you could customize it so much. Anything is really possible. Watching it come to life was really fun, and the way it expressed us as a couple was so spot on. I never knew paper could reflect personalities so well. Enjoy the options and don't become overwhelmed by them. You will naturally gravitate towards what you like, so trust that. Tell us about your wedding! What was your favorite moment? We got married at Flanagan Farm right outside Portland, Maine. My family has a house in Damariscotta, Maine so it felt natural for us to have it up there. The whole wedding had touches of navy and gold and was a very neutral palette. The reception took place in a restored barn that was very romantic and had a lot of character. Our wedding planner, Paula Cano from A Family Affair, made everything come to life. She took my vision and turned it into reality: Everywhere you looked there was something interesting to look at that had a trace of Gian and me. I have two favorite moments: The first was right after the ceremony—the car ride with Gian to the farm. It was quiet and gave us a moment alone to realize that we were married! The second was when I gave my father a hanky with a special message embroidered on it right before we went to the church. His emotion made my heart feel so full. Tell me about your first meeting with Erika and a little about the process you went through to get to the final decision. I am fortunate to know the bride's family, so a level of comfort and trust was already established. With any bride, though, I explain the process I use to bring us to the end result: an invite that is a culmination of the bride's expectations coupled with the clarity needed and details required so that wedding guests arrive ready for the celebration! Wendy, working with a client. I guide them through the process, simplifying it so the bride does not become overwhelmed. I encourage flexibility and the importance of proofing. I always tell them "nothing in stone" until the proof is ready to go to print. Listening to the bride and her wishes are the most important skills I have learned. I always begin my meeting with questions about the wedding. What type of an affair? Daytime? Sit-down? Destination? I then ask if she has any ideas about her invite. A bride may have samples or a website with examples; sometimes she has an idea she wants to pursue. There are two tools that always come into play: The William Arthur elements album and my portfolio of all my wedding invite samples I have done over the years. By seeing other wedding samples I have done (99% are William Arthur!) a bride begins to formulate opinions of what she likes or doesn't like. She has a better understanding of the process and costs as I explain to her the different papers used, printing processes, two color/one color ink, different use of fonts, blind embossing, etc. Painted edges, rounded corners, foil printing. Foil is becoming very popular and many brides have asked about it. The more information about her wedding (logistics), the easier it is to pull together all the parts: Invite, response card/envelope, reception card. If there is anything that is important to her (Costs? Timing? ), express this early in the process so your retailer can help answer your concerns early on. A bride should come well ahead of production, understanding that the process takes time. Usually I have my calendar and we discuss the timing so bride has plenty of time to send envelopes to calligrapher. I will tell a bride that she should have a sense of quantities and begin to refine the number so when time comes to decide on final quantities, she knows how many to order. I always explain the importance of this because if she has to come back and order an additional 25, it is super expensive. I work to make sure all is calm, fun and productive when a bride is at an appointment with me. All of the above helps this to happen! When it comes to choosing wedding invitations, how is today's bride different from one five years ago? Most brides want the same things, five years ago or today: A wedding invite that reflects their style and the celebration being planned. I think brides are more price-conscious, but I also see a trend in older brides—some very successful in the workplace who can afford high-end invitations. I believe as the printing processes have improved and new techniques are being offered, the bride is looking to capitalize on newer ink colors, liners, printing processes. An example of this is how popular letterpress has become or the interest in rounded corner. For a wedding, most brides I work with come to me because they like to feel the paper and work up a special invite with a retailer who can offer guidance and experience. The experience of creating an invite remains the same, and I take great pleasure in seeing the smiles when they open the box and see the finished product.